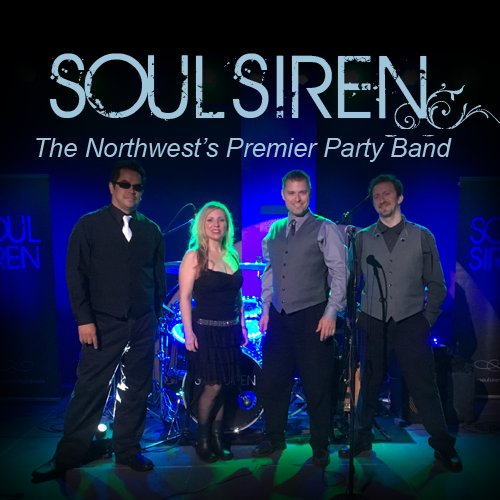 Soul Siren is the “Northwest’s Premier Party Band.” They specialize in large events, music festivals, weddings, dances, corporate parties, high school proms etc . . . This band is made up of fantastic, versatile musicians who play a variety of soul, funk, top 40, 80’s and 90’s dance hits. Going strong for 15 years, Soul Siren is led by David Carson. Tracie sings lead and plays electric bass along with her husband, Terry who plays drums.